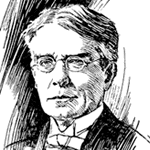 Carveth Read, M.A., was a 19th and 20th century British philosopher and logician. He was professor of philosophy of mind, and logic at the University College London. Logic: Deductive and Inductive is a math treatise by the British logician and mathematician Carveth Read. FCIT. "Carveth Read, M.A. author page." Lit2Go ETC. Web. 22 April 2019. <https://etc.usf.edu/lit2go/authors/72/carveth-read-ma/>. FCIT, "Carveth Read, M.A. author page." Accessed April 22, 2019. https://etc.usf.edu/lit2go/authors/72/carveth-read-ma/.